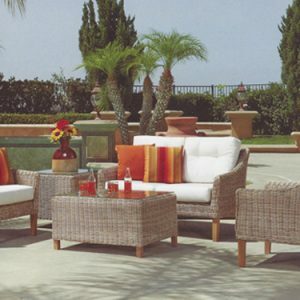 Wickerworld is dedicated to providing the best selection of quality wicker and rattan furniture that is both comfortable and durable. 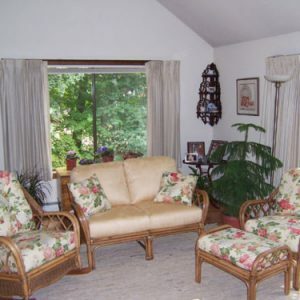 Many people remember their grandmother’s wicker, which may not have been comfortable. We are able to customize each piece to the individual’s liking. 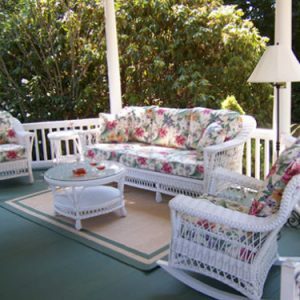 We offer styles from the classic traditional Bar Harbor New England white wicker to more contemporary streamline designs. Our wicker frames are sturdy and have loose cushions so that when the time comes to refresh the cushions, there is no need for the expense of reupholstering but rather simply recover or replace the cushions. Lynn MacMorrow has been president of Wickerworld since 1982 when it began in Niantic, CT. Despite the big box invasion, business for WickerWorld continues to thrive. Many of our customers are repeat customers who have followed us for generations and appreciate the individual attention given to them. Our customers are impressed when upon arrival, they are met by knowledgeable owners who have been in business for 30 years and can honestly answer their questions. The success of Wickerworld comes from our genuine interaction with customers. 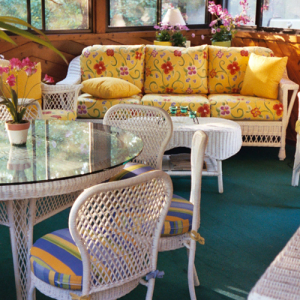 We purchased an outdoor wicker set for our beach home in Branford and we love it! Its the best quality, and Lynne made it very easy for us to choose Wicker World!